At the invitation of Rep. Chad Hays, Greg spoke before the Illinois House Judiciary-Criminal Committee in the State Capitol Building on April 4, 2017, in favor of House Bill 304, which calls for increased sentences for those convicted of killing a minor child as a result of abuse. Greg and Marsha hosted the Family Reception at the 15th Annual International Conference on Shaken Baby Syndrome (Abusive Head Trauma) in Montreal, Quebec, Canada on September 26, 2016. Families from the US and several Canadian provinces were in attendance. The purpose of this special gathering was to create a network of support and for families of survivors and victims to share their personal stories with each other. The conference was held from September 24 to September September 27. 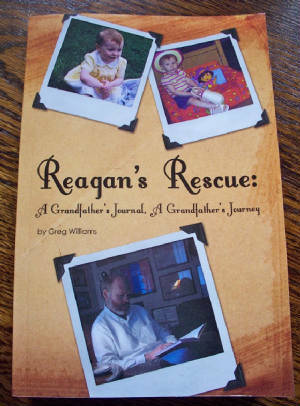 To order Reagan's Rescue: A Grandfather's Journal, A Grandfather's Journey, send us an email request at greg@reagansrescuefund.com. We will send you instructions for ordering. Thanks for your support. Greg appeared on Newsmakers with Nicole Miller on 1490 WDAN radio on July 1, 2016, to commemorate the 10th anniversary of Reagan's passing and to update listeners on Reagan's Rescue. On June 19, 2015, Greg and Marsha, along with their son, Ian, and daughter-in-law, Dani, took a brief tour of the National Center on Shaken Baby Syndrome, located in Farmington, Utah. Danville High School Senior Andrew Xiong was selected as the 2015 recipient of the Reagan's Rescue Scholarship. Andrew is planning to pursue a career in law enforcement and will begin his studies at Danville Area Community College. The award was $500 and was presented to Andrew by Marsha (Reagan's paternal grandmother) and her daughter, Bailey, at a May 12 ceremony. Greg appeared on WDAN's Newsmakers with Linda Bolton on Friday, Februrary 27, to discuss Shaken Baby Syndrome (Abusive Head Trauma) and the work of Reagan's Rescue. On Friday, February 6, 2015, Greg spoke to the North Ridge Middle School AVID classes regarding the responsibilities of creating and maintaining a public charity. The AVID students are currently planning to donate supplies to the local women's shelter in Danville in memory of Reagan. Reagan's Rescue, in partnership with Crosspoint Human Services, participated in the Memorial Walk Against Domestic Violence on Oct. 25 at 10 a.m. The walk began at Crossroads Christian Church, located at 3613 N. Vermilion, and ended with a balloon release at Sunset Memorial Park in Danville. Greg spoke about the role of community and the importance of sanctuary in domestic violence cases. 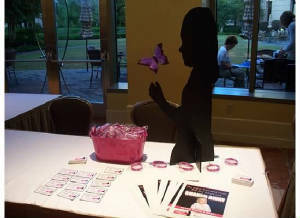 The event was the culmination of several local activities in observance of Domestic Violence Awareness Month. Greg and Marsha offered an updated version of their Powerpoint presentation "One Small Candle: Creating an SBS Advocacy Group" on September 23, 2014, from 3:30-4:30 for the Fourteenth International Conference on Shaken Baby Syndrome (Abusive Head Trauma). The conference was held at the Grand Hyatt in Denver, Colorado. Reagan's Rescue was chosen by McDonald's and Neuhoff Broadcasting to be featured in over 500 commercials during the month of January 2014. These spots aired on WDAN, D-102, and 94.9 K-ROCK. This opportunity coincided with what would have been Reagan's 10th birthday, so we celebrated this gift to her by sharing her story and her legacy--Shaken Baby Syndrome awareness. Marsha lent her voice to the PSA. Greg spoke at a Women's Club meeting at the United Methodist Church in Bismarck, Illinois, on Thursday, October 17. The topic was the work of Reagan's Rescue in the last seven years. Reagan's Rescue participated in the Peace in the Home Domestic Violence Awareness Day at the Village Mall in Danville from 10 a.m. until noon on Saturday, October 12. Our table offered information about Shaken Baby Syndrome along with free brochures, posters, wristbands, bookmarks, and lanyards. The Peoria, Illinois, minor league baseball team, the Chiefs, hosted a fundraising night for The Pediatric Resource Center in Peoria. The center provides specialized medical evaluations for children suspected of being victims of sexual abuse, physical abuse, and/or neglect. 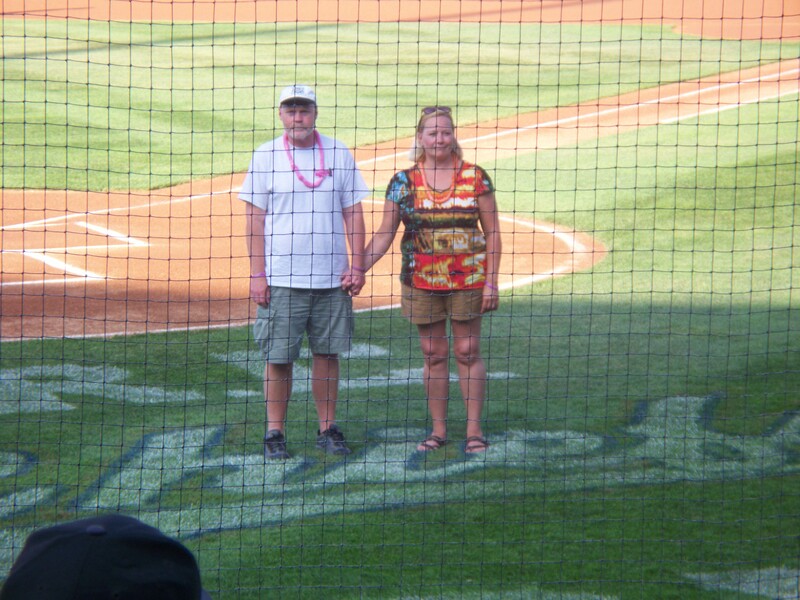 The center chose Reagan's Rescue to receive the honor of "Hero of the Day" at the July 20, 2013, game. Reagan's Rescue will had a great opportunity to share its story with the crowd at the game. The Danville Firefighters Local 429 in partnership with The Friendly Tavern held the 15th Annual Poker Run on July 13, 2013. This fundraiser has become one of the larger in the area and has seen as many as 700 people show up for the day's festivities. Check back for photos. Greg and Marsha spoke at a conference for the GFWC Illinois Federation of Women's Clubs on July 12 at the Parke Hotel in Bloomington, IL. Thanks to Karel Volpert for the invitation to spread awareness of Shaken Baby Syndrome and to share the mission and work of Reagan's Rescue. Internationally recognized Canadian singer-songwriter Justin Hines presented a benefit concert for Reagan's Rescue on July 11 at 7 p.m. at the Vineyard Church of Danville, 3733 N. Poolside, Danville. This concert was part of his "Vehicle of Change Tour" of North America which has helped spread awareness of community charities and organizations. Justin appeared with the duo Ash and Bloom. The evening was extremely moving and memorable. The band left with a Reagan Emery Bear as they continued through the US and Canada. Greg, representing Reagan's Rescue, appeared on Linda Bolton's morning show on 1490 WDAN, along with Ryan Allison from the Danville Fire Fighters and a Teen Reach representative. The topic was the upcoming Poker Run. The program aired live on WDAN. Immediately following, Greg spoke with Tommy B on WDNL. Greg was a guest of Altrusa Internationl at their July 2 meeting held in the Vermilion Room at Danville Area Community College. He spoke about the history of Reagan's Rescue and about several upcoming projects. In April 2013, Greg was the guest speaker at Peoria's Center for Prevention of Abuse as a kickoff to Child Abuse Prevention Month. Greg spoke before the Piatt County Cares coalition in February 2013. The meeting was held at Kirby Medical Center in Monticello, Illinois. Greg and Marsha presented two workshops for young mothers and mothers-to-be at the Center for Children's Services on Tuesday, November 6, and Thursday, November 8, 2012. 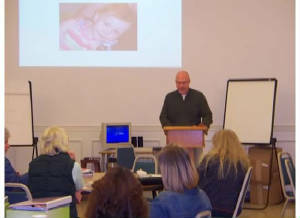 Topics included the dangers of Shaken Baby Syndrome and methods for coping with crying. In observance of Domestic Violence Awareness Month, Greg spoke at Bowman Avenue United Methodist Church on Sunday, October 21, 2012, on the progress of Reagan's Rescue. His presentation was entitled, "Turning Misery Into Ministry." 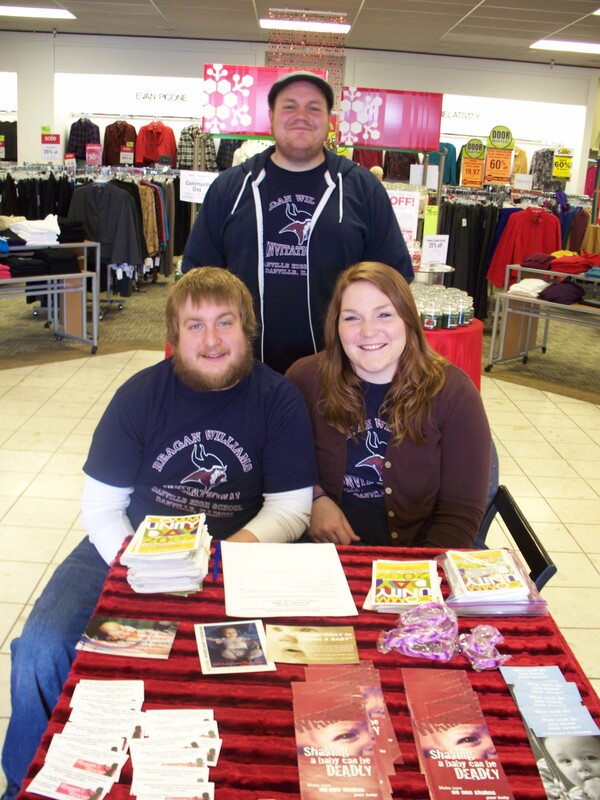 Reagan's Rescue provided SBS awareness materials at a booth at the first annual Peace in the Home Domestic/Family Violence Awareness Event in the Center Court of the Village Mall, Danville, from 10 a.m. to 2 p.m. on Saturday, October 6, 2012. Reagan's Rescue participated in the Vermilion County Child Abuse Prevention, Intervention, and Treatment (CAPIT) Coalition conference at DACC's Bremer Conference Center on October 4, 2012. Greg was the keynote speaker, sharing Reagan's family's journey through the legal and child protection service systems in a speech entitled, "A Call to Change...The Need for Communication." Greg and Marsha conducted a workshop entitled "One Small Candle: Creating an SBS Advocacy Group" for the Twelfth International Conference on Shaken Baby Syndrome on Saturday, September 29, 2012, in Boston, Massachusetts. This was the third time Reagan's Rescue was represented; previous conferences were held in Vancouver, British Columbia (2008), and Atlanta, Georgia (2010). 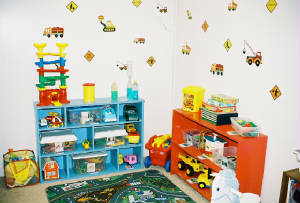 July 2, the sixth anniversary of Reagan's death due to child abuse, was also the day Reagan's Rescue held a supply drive for the Women's Shelter at Your Family Resource Connection in Danville (location of Reagan's playroom). The shelter is always in need of non-perishable food and toiletries for women and children. Remember, any donation is tax-deductible as Reagan's Rescue is a 501(c)(3) public charity. Greg spoke to a Father's Parenting Group at the Center for Children's Services in Danville on June 12 on the topic of Shaken Baby Syndrome and Handling Crying. Many thanks to D. L. Williams who explained "Your misery can become your ministry." Greg, representing Reagan's Rescue, spoke at a regional child abuse prevention conference on April 27, 2012, in Decatur, Illinois, on the topic of navigating through the legal system. 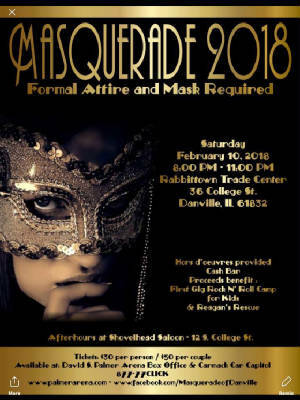 The event was sponsored by Prevent Child Abuse Illinois. The 6th Annual Reagan Williams Memorial Track Invitational was held at the Danville High School Field House on March 24, 2012. On Saturday, March 3, 2012, Greg presented a workshop entitled "Shaken Babies, Shaken Lives" for the 23 Annual Developing Child Conference held at the Bremer Conference Center at Danville Area Community College. A BBC World Service radio documentary on Shaken Baby Syndrome, originally broadcast on June 9, 2011 and broadcast in a longer version on June 11, continues to be available on the BBC World Service website. The documentary includes interviews with Reagan's father, Ian Williams, and her grandfather, Greg. BBC World Service can be heard on National Public Radio stations as well as on the Internet at www.bbc.co.uk/programmes/p002vsn0. Reporter Linda Pressly and producer Polly Hope came to Danville in January 2011 for the interview. The program is entitled "Shaken Babies." 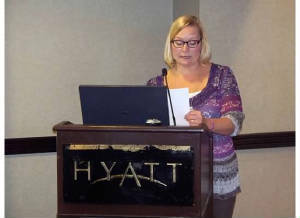 CAPIT Coalition Meeting Held--Friday, July 15, in Danville, moderated by Tamara Guy from Prevent Child Abuse Illinois. CAPIT stands for Child Abuse Prevention Intervention and Treatment. Reagan's Rescue has been invited to become a partner in this new and much needed group. On July 13, 2011, Greg conducted a training workshop on Shaken Baby Syndrome for physicians and nurses at the Central Counties Health Center, Inc. in Springfield, Illinois. Monical's Community Day Fundraiser for Reagan's Rescue in Kankakee Area--July 5, 2011. 2011 Reagan's Rescue Scholarship Winner--Danville High School graduate Andrew Hafner, who is pursuing a degree as a firefighter. Community Day at Monical's Pizza--Monday, April 11, fundraiser for Reagan's Rescue at the three Danville Monical's Pizza locations. 5th Annual Reagan Williams Memorial Track Invitational--March 26, 2011, at the Danville High School Field House. Proceeds went toward the Reagan's Rescue Scholarship. 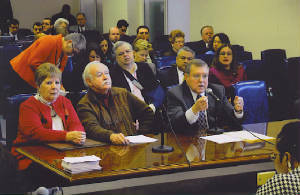 Representing Reagan's Rescue, Greg spoke on domestic violence issues before the Illinois Family Violence Coordinating Council on November 16, 2010. The meeting, held at the Villa Maria Catholic Life Center along the shores of Lake Springfield, was part of the group's annual retreat which brings together representatives from Judicial Circuits around the state. 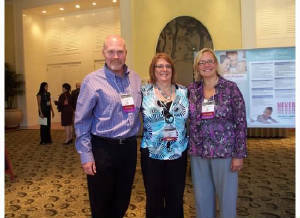 Greg and Marsha Williams, Reagan's paternal grandparents, presented a workshop at the 11th Annual International Conference on Shaken Baby Syndrome. The conference, at the Intercontinental Buckhead Hotel in Atlanta, Georgia, was held from Saturday, September 11 through Wednesday, September 15, 2010. Monday's workshop was entitled "One Small Candle: Creating an SBS Advocacy Group." Below are pictures of Greg and Marsha with Shaken Baby Coalition co-founder Debbie Dycus amd our display table at the conference. Greg appeared before the 5th Judicial Circuit Vermilion County Family Violence Coordinating Council meeting on September 15, 2010. The council brings together advocates, representatives from various social agencies, community leaders, and members of law enforcement and criminal justice professions to discuss countywide issues related to violence. A short video entitled vi'o-lence, produced by Hoopeston Area High School students, focused on recent high-profile homicides in Vermilion County, including Reagan. Greg spoke on the need for more effective communication between various stakeholders. Those in attendance included Mayor Eisenhauer, Rep. Bill Black, State's Attorney Randy Brinegar, County Board Chairman Jim McMahon, and moderator Linda Bolton. Greg and Marsha attended a domestic violence awareness candlelight vigil sponsored by the GFWC Illinois Federation of Women's Clubs. The event was held outside around the fountain in front of the Thelma Keller Convention Center at the Hilton Garden Inn in Effingham, Illinois. Greg spoke about creating Reagan's Rescue. Prevent Child Abuse Illinois has chosen Reagan's Rescue as the recipient of its 2010 Central Region Child Abuse Prevention Program Excellence Award. The award was presented to Reagan's great-grandparents, Jim and Roberta Williams, at the Governor's Mansion in Springfield, Illinois, on April 1 as part of the kick-off to Child Abuse Prevention Month in Illinois and around the country. Reagan's Rescue also had an information booth at the event. The North Ridge Middle School Future Problem Solvers of Danville, Illinois, were finalists for their Shaken Baby Syndrome prevention campaign. The FPS International Convention was held in LaCrosse, Wisconsin, from June 9-13, 2010. Reagan's Rescue is grateful for the group's yearlong project and all of their efforts on behalf of innocent children everywhere. On May 14, 2010, the North Ridge Middle School Future Problem Solvers once again attempted to break a world record by launching Mentos in liters of Diet Pepsi. 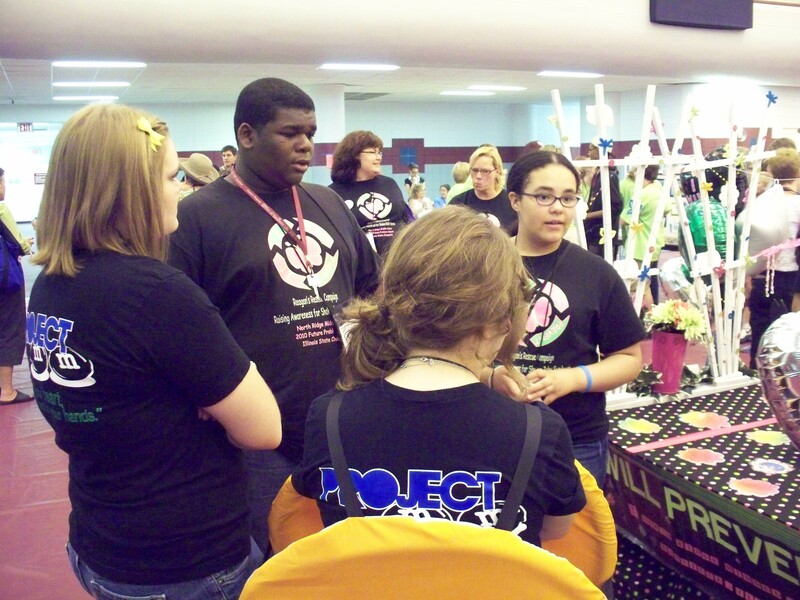 Although the group fell short of the needed number of participants, the publicity for the event did successfully raise awareness of Shaken Baby Syndrome. 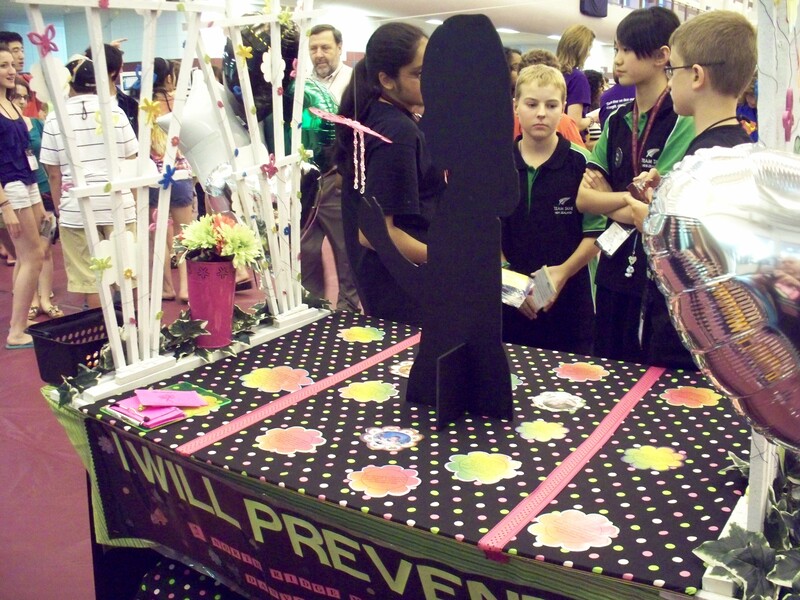 The launch was part of the FPS "I Will Prevent It" Campaign. 5, 4, 3, 2, 1...I Will Prevent It! Future Problem Solvers Display Pinwheels for Prevention--April 2010, in front of North Ridge Middle School, Danville, Illinois. Lakeview College of Nursing Presentation--April 15, 2010. Greg spoke as a part of the school's Domestic Violence seminar. Reagan and Reagan's Rescue Cited in Illinois House Resolution--April 19-25, 2010, SBS Awareness Week in Illinois. 4th Annual Reagan Williams Memorial Track Invitational--March 27, 2010, in the DHS Field House. 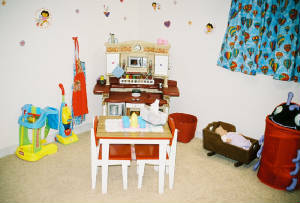 On March 4, 2010, Reagan's great-grandparents, Jim and Roberta Williams, testified before an Illinois House Committee in support of HB 6213, which would require a judge to impose an extended prison term if the death of a child was the result of abuse. The bill was introduced by Rep. Bill Black, R-Danville, in response to the seven year prison sentence given to Ryan Allhands, who pleaded guilty to manslaughter in the death of Reagan. On March 23, the bill was approved by the Illinois House 112-3. Chief co-sponsor of the bill was Chapin Rose, R-Mahomet. Reagan's Rescue is proud of and grateful to Bill Black for his diligence and ferocity in this legislation. 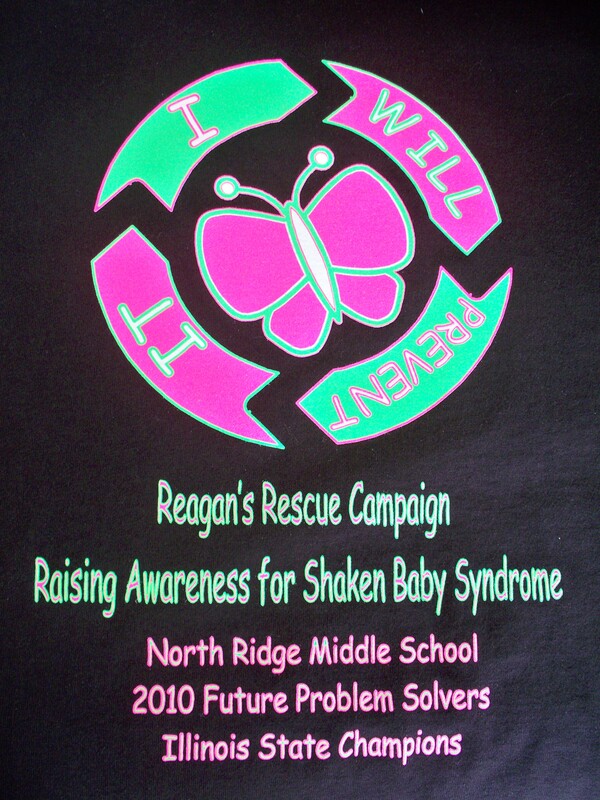 The North Ridge Middle School Future Problem Solvers won first place in Illinois for its Shaken Baby Syndrome awareness campaign called "I Will Prevent It," receiving a bid to attend the international competition held in La Crosse, Wisconsin in June of 2010. The project was undertaken in memory of Reagan. On January 17, 2010, the North Ridge Middle School Future Problem Solvers, in cooperation with Guinness, attempted to break a world record by launching 2500 liters of Diet Pepsi and Mentos geysers simultaneously. Although the record was not broken, the event, covered locally and nationally, still made a big splash. The "I Will Prevent It" project, which included a serious message about domestic violence and Shaken Baby Syndrome, was held in the field adjacent to WDAN/WDNL radio station in Danville, Illinois. Proceeds will go to the refurbishing of a new room in memory of Reagan at the Women's Shelter at Your Family Resource Connection in Danville. The group will make a second attempt at the record in May. Click below for a brief slideshow of the event and the Future Problem Solvers youtube video. Elder Beerman Community Day Fundraiser a Success--November 14, 2009. 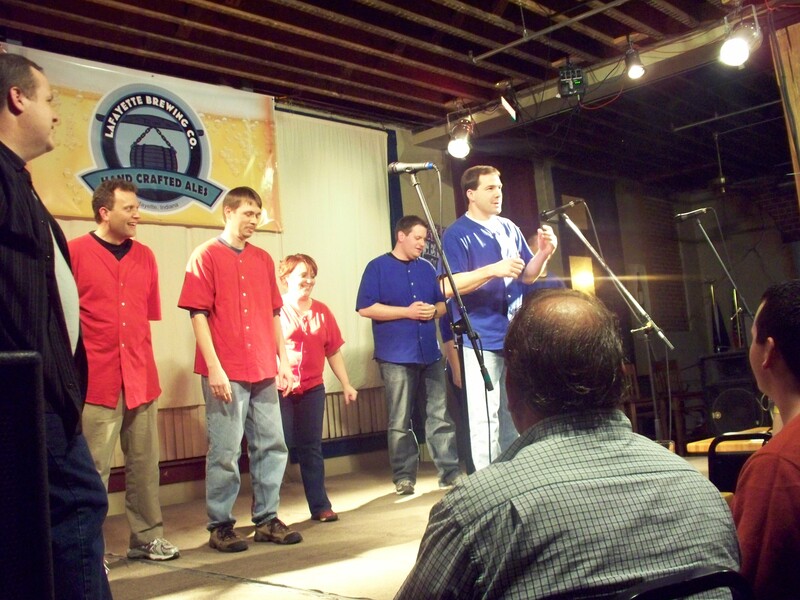 One Size Fits All Improv Troupe Raises Funds for Reagan's Rescue--November 6, 2009, Lafayette, Indiana. Candlelight Vigil for Shaken Baby Syndrome Awareness--July 2, 2009, in the Central Christian Church sanctuary. Guest speaker was Susan Gallion, mother of SBS survivor, Lakia. Reagan's Rescue Receives Broadcasting Recognition--June 17, 2009, in East Peoria. Illinois Broadcasters Association 2009 Silver Dome Award for Excellence, 2nd Place, for Local Charity PSA. Reagan's Rescue Scholarship Awarded--May 12, 2009. Recipient was Madhavi Bhavsar, Co-Valedictorian Class of '09. 3rd Annual Reagan Williams Memorial Track Invitational--March 28, 2009, DHS Field House. Greg Speaks at Danville Area Community College Early Childhood Conference--March 7, 2009. 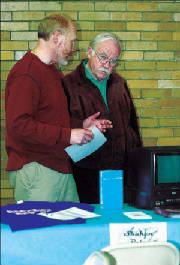 Elder Beerman Community Day Fundraiser a Success--February 28, 2008. Reagan and Reagan's Rescue Cited in Illinois House Resolution--April 20-26, 2009. SBS-AHT Conference--October 5-7, 2008, in Vancouver, B. C., Canada. 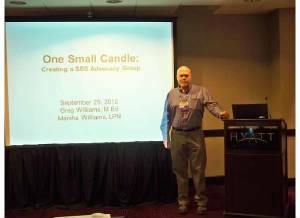 Greg conducted a workshop entitled "One Small Candle: Creating an SBS Advocacy Group." Breakfast Kiwanis Meeting--July 21, 2008. Greg was the guest speaker. 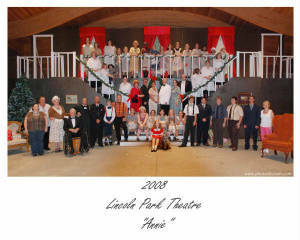 Lincoln Park Theatre Company Production of Annie--July 18-20, 2008, Danville, Illinois. 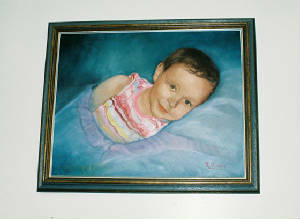 LPTC's Save a Child campaign helped Reagan's Rescue. Cast members included Bailey Williams as Annie, Greg Williams as Oliver Warbucks, and Ian Williams as Drake. Golden Kiwanis Meeting--April 7, 2008, at Cris Senior Services. Greg was the speaker. 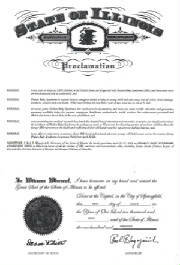 Reagan and Reagan's Rescue Cited in Two State of Illinois Child Abuse Proclamations--April 21-27, 2008. 2nd Annual Reagan Williams Memorial Invitational--March 22, 2008, in the Danville High School Field House. Early Childhood Education Conference--March 15, 2008 at Danville Area Community College. Greg conducted a workshop entitled Shaken Baby Syndrome: One Small Candle. 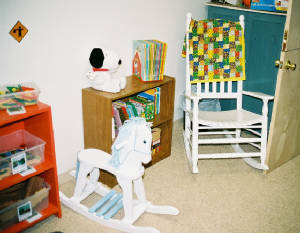 Dedication of Reagan Williams Playroom at YFRC--January 29, 2008. Festival of Trees--November 9 through November 14, 2007. Angels on Earth tree designed by Julia Megan Sullivan in memory of Reagan. Toys for Tots--December 2007. Ian delivered a vanload of toys and books in memory of Reagan. Reagan's growing legacy in other communities. Candlelight Vigil--July 2, 2007 on the front lawn of Central Christian Church. Participants included Gary Green, Joni Markel, Greg Williams, and Ted Vacketta. We hope to update this page often with new photos and information.